You can search the internet for some of the best science projects for kids, but we have done the hard work for you! This list is sure to get those creative juices flowing! 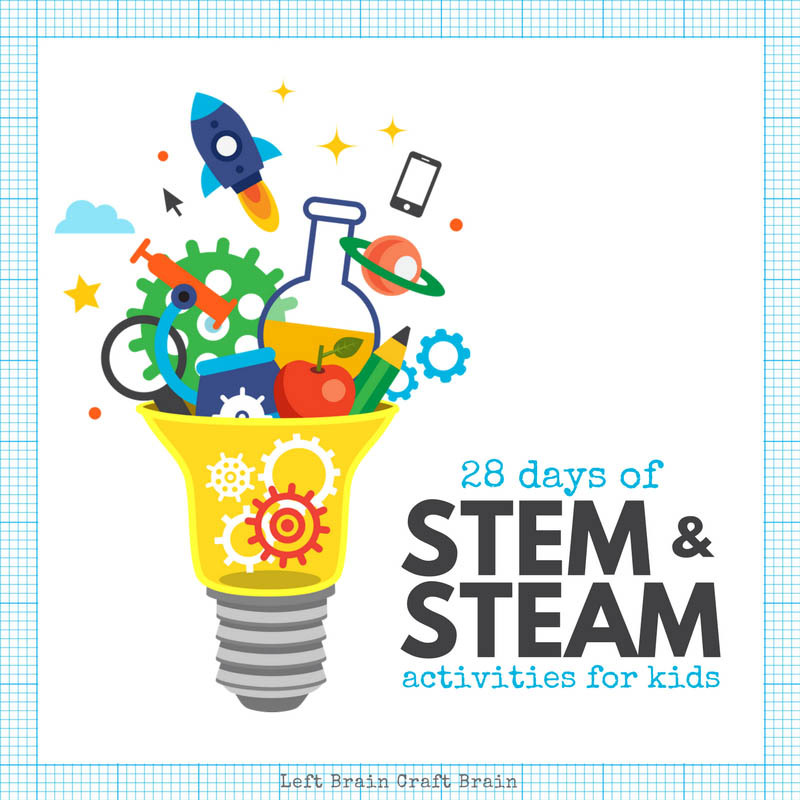 Use this set of 28 Days of STEM Activities and STEAM Activities for Kids posts to excite the kids all year long. 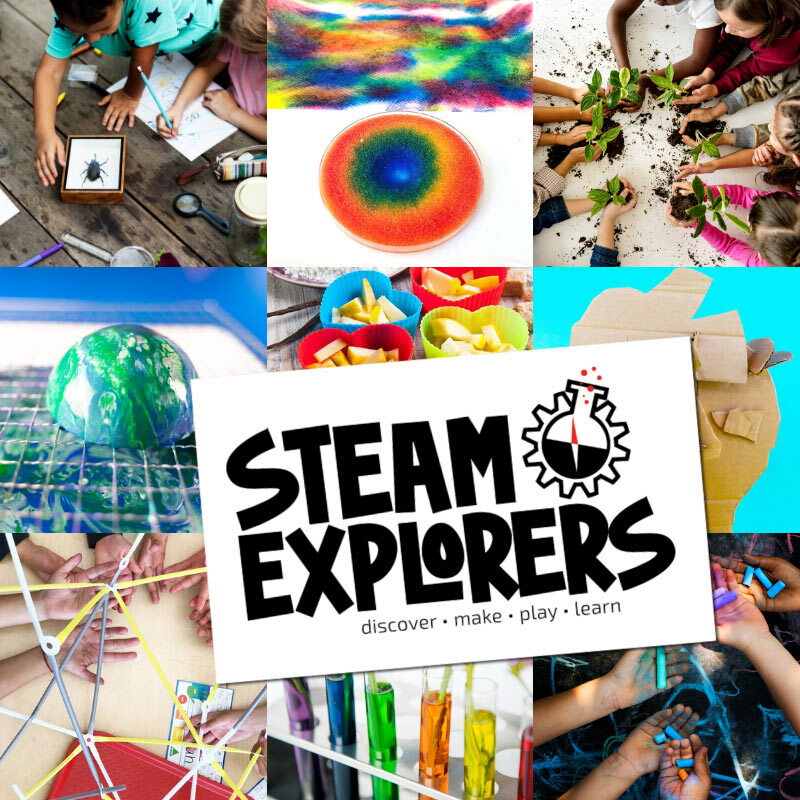 Learn using STEM and STEAM (science, technology, engineering, art, & math) concepts while you explore forces of motion, chemistry, sound, and so much more! Experimentation is one of the foundations of STEM. 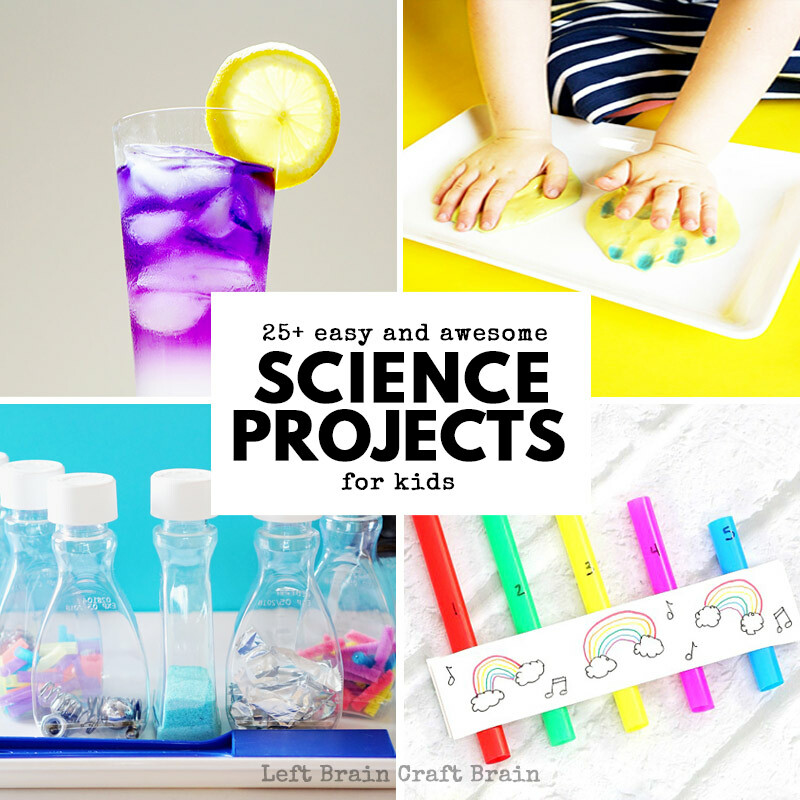 Check out these amazing and easy science projects for kids! Chemistry is the study of matter and its properties and how substances interact. It makes for interesting and exciting activities for kids because they are naturally curious explorers. Color Changing Slime || Left Brain Craft Brain – This slime will blow your kid’s mind with science! Inflate a Balloon || Science Kiddo – Who says you need to blow up a balloon with your lungs? Paint Solubility Art Project for Kids || Left Brain Craft Brain – Solubility science makes art more interesting in this project. 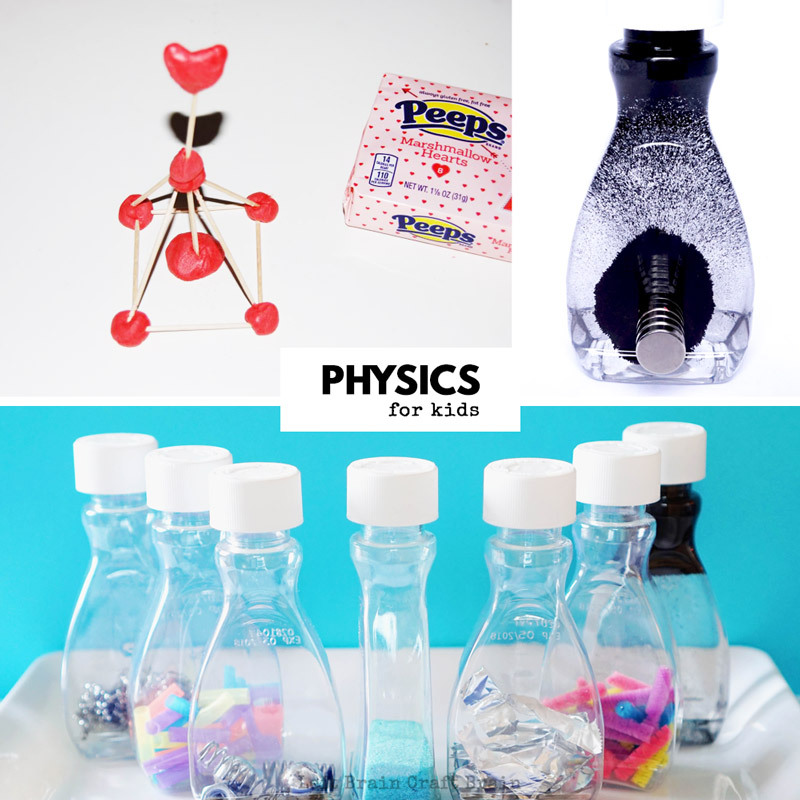 Creating the Olympic Flame in a Bottle || JDaniel4’s Mom – Explore properties of materials with this Olympic-inspired activity. Oobleck Dough || Left Brain Craft Brain – Oobleck is a must have on any kids science list. Color Changing Chemistry Clock || Left Brain Craft Brain – This activity is a fun science magic trick. 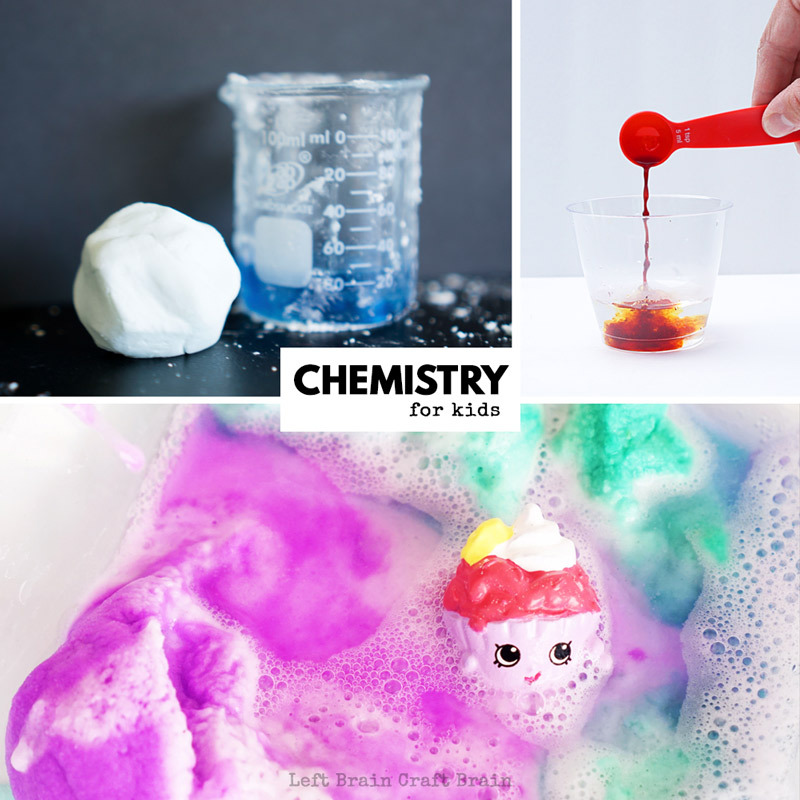 Surprise Eggs Baking Soda Science || Left Brain Craft Brain – Baking soda is a kid-friendly way to introduce chemical reactions. Wood Bending Bracelet Craft – Magic or Science? || Figment Creative Labs – These bracelets use science to make wood bend. Magnet Painting || Left Brain Craft Brain – Add the science of magnets to your art to make it more fun. Homemade Pan Flutes for Kids || Buggy and Buddy – These DIY flutes help kids explore the science of sound. 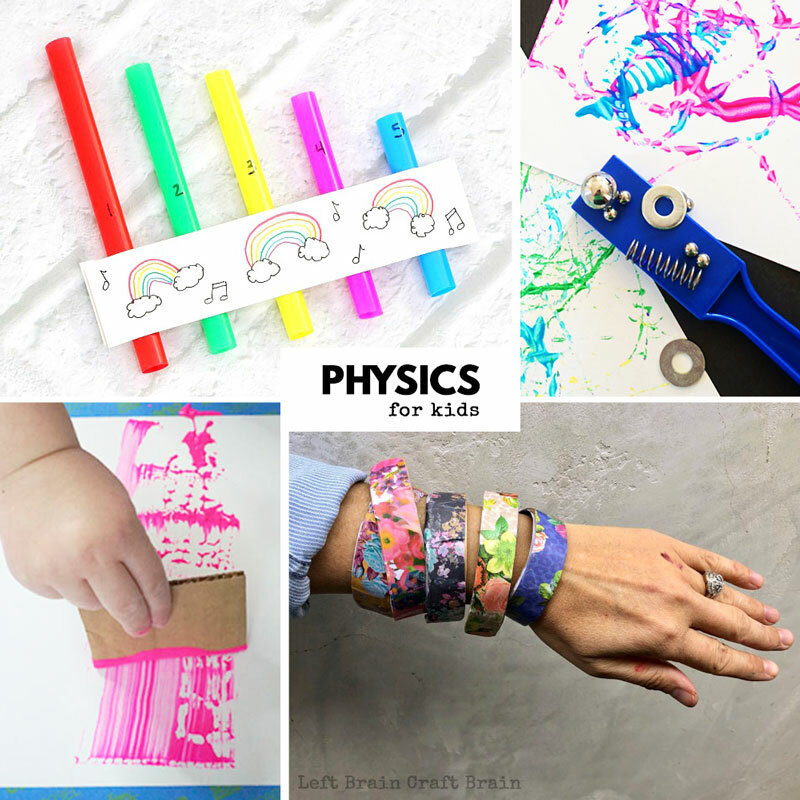 Explore Force & Motion with STEAM Activities for Kids || Kids STEAM Lab – More STEAM fun, this time with physics! Peeps Playdough and Heart Engineering Challenge || The Preschool Toolbox – Use the laws of physics to help you build! Mess-Free Magnetic Learning Center for Preschoolers || Left Brain Craft Brain – Magnets are amazing learning tools for preschoolers. Magnetic Field Sensory Bottle || Left Brain Craft Brain – Explore the magic of magnetic fields. Nature is a glorious thing and there’s a lot of incredible science to learn from it. 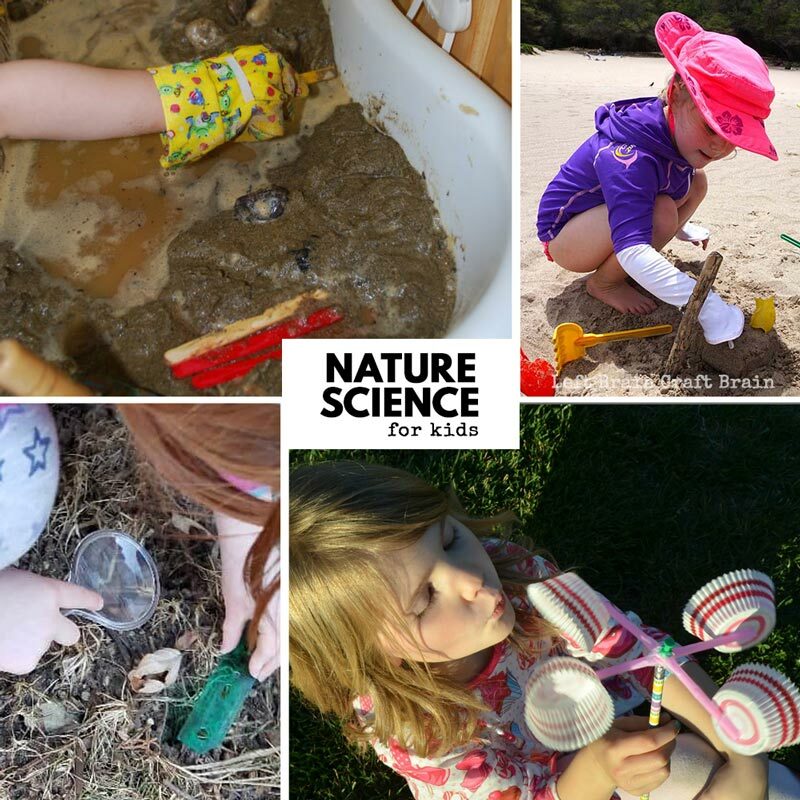 Check out these engaging nature-based kids science projects! Easy Anemometer Kids Can Make || Capri + 3 – Explore wind speed with this DIY anemometer. 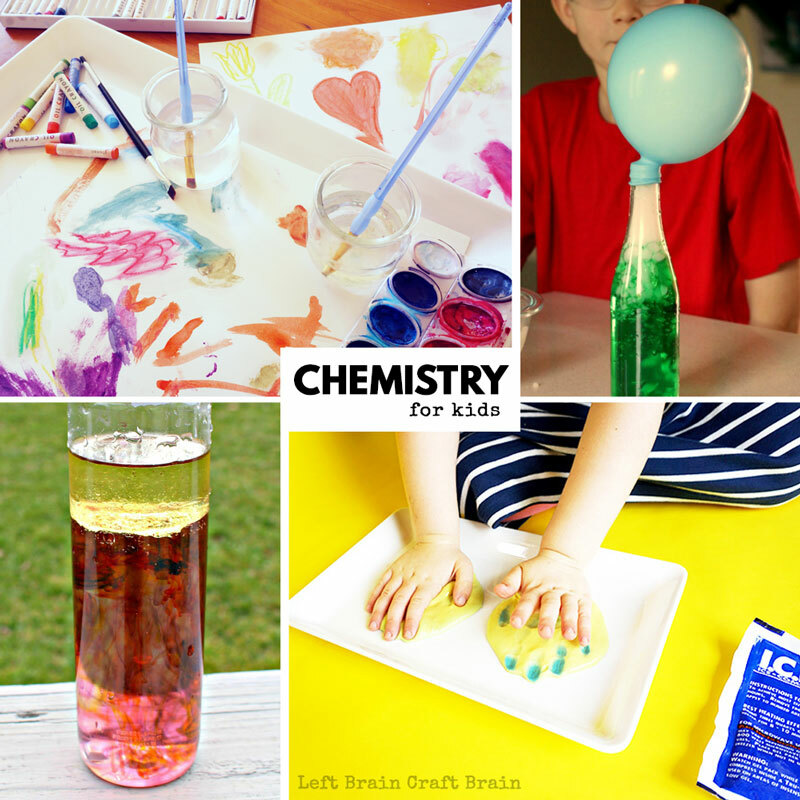 7 Beach Science Activities || Left Brain Craft Brain – Take learning to beach with these fun experiments! Animal Tracks Measuring Activity || Line Upon Line Learning – Learn about animals with this fun animal tracks project. Indoor Soil Science and Engineering Challenge || One Time Through – Make mud pies educational with this fun soil experiment! Crime Scene Science Lab Lesson || Teach Beside Me – Inspire your kids to become forensic scientists with these activities! Simple Soil Science || Left Brain Craft Brain – More soil science the kids will love. Fun with Fungus || Left Brain Craft Brain – You’ll want to grow mold with this fun science. There’s some amazing science that happens in the kitchen. We love playing and learning in the kitchen that’s why our new book launching soon is STEAM Kids in the Kitchen! Polymer Science: Homemade Fruit Gummies || Left Brain Craft Brain – Polymers can be really delicious! Egg Painting with Vinegar || iGame Mom – Up your egg decorating game with a little bit of science! 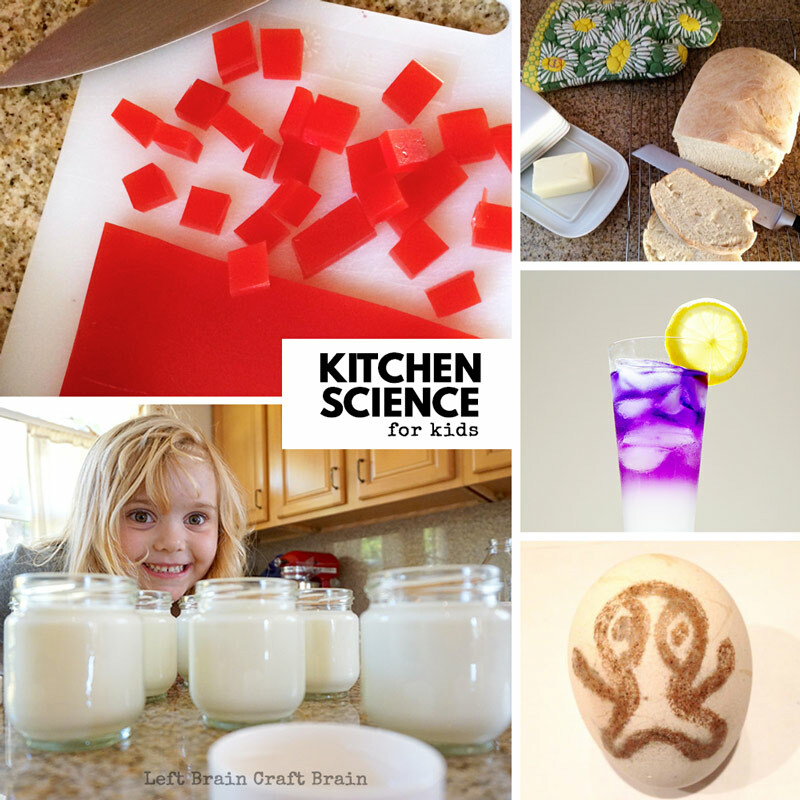 Biology of Yogurt || Left Brain Craft Brain – It’s science that makes yogurt so good for you! 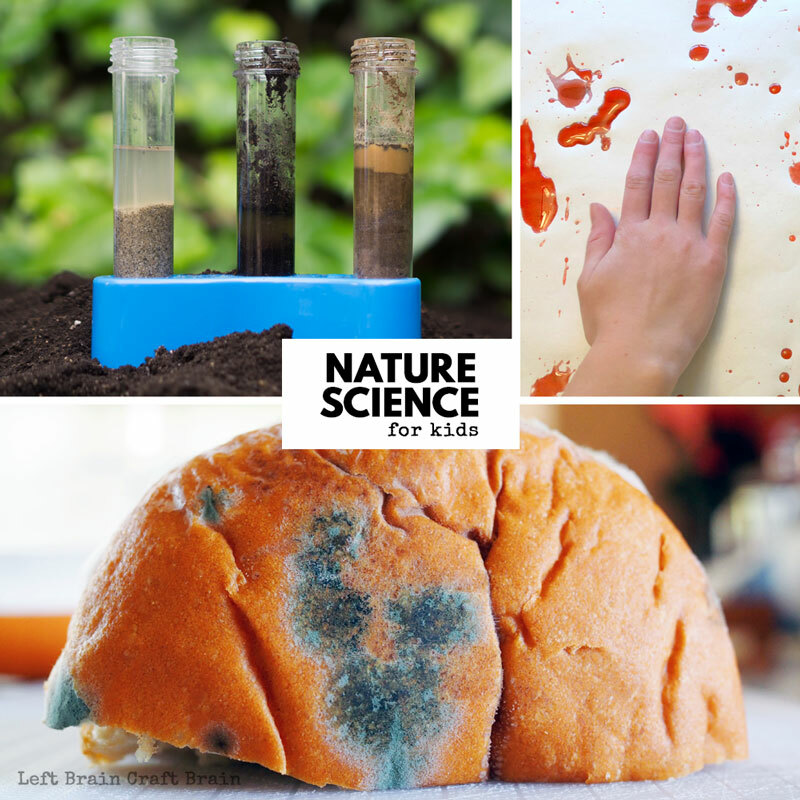 Biology of Bread || Left Brain Craft Brain – The magic of yeast is what makes bread rise. Learn more from baking a loaf. Color Changing Lemonade || Left Brain Craft Brain – This lemonade changes color with the all natural science of a special ingredient. We love that spring is elementary school science fairs season!! 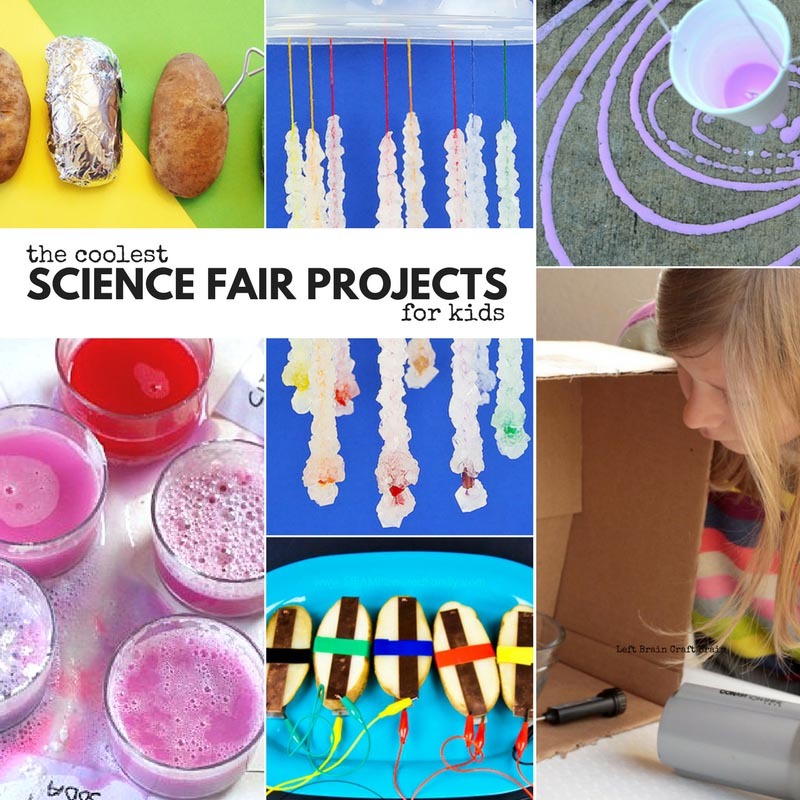 Check out this list of The Coolest Science Fair Projects for Kids. There’s even a free printable Science Fair Workbook and guide to the Scientific Method. 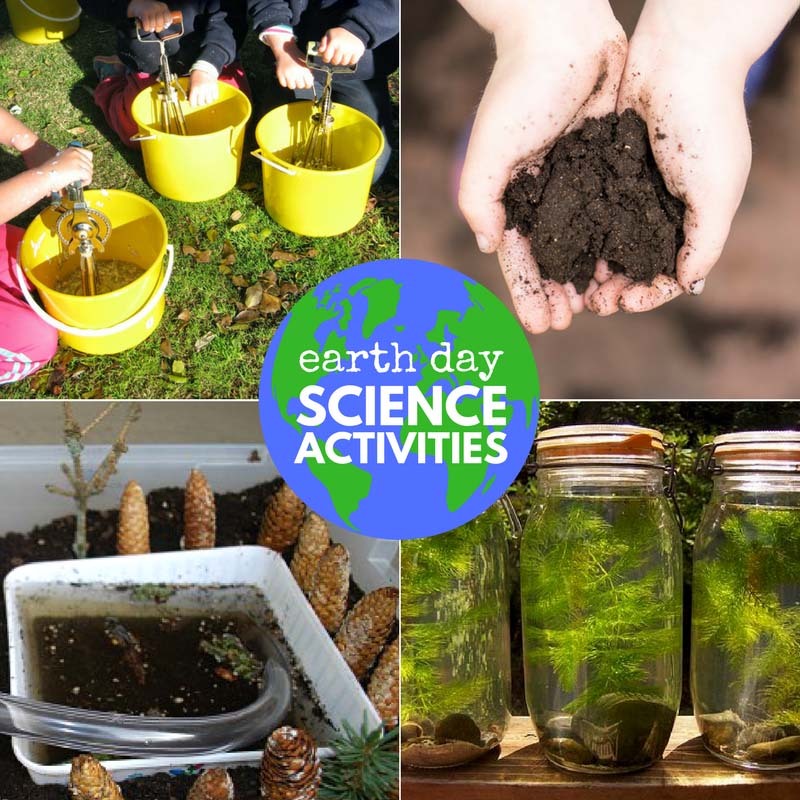 We believe that every day should be Earth Day, but in case you’re looking for something for April 21st, here’s an amazing list of Earth Day Science Activities for Kids. Many of these projects are part of an amazing, month-long series of hands on STEM and STEAM projects for kids. 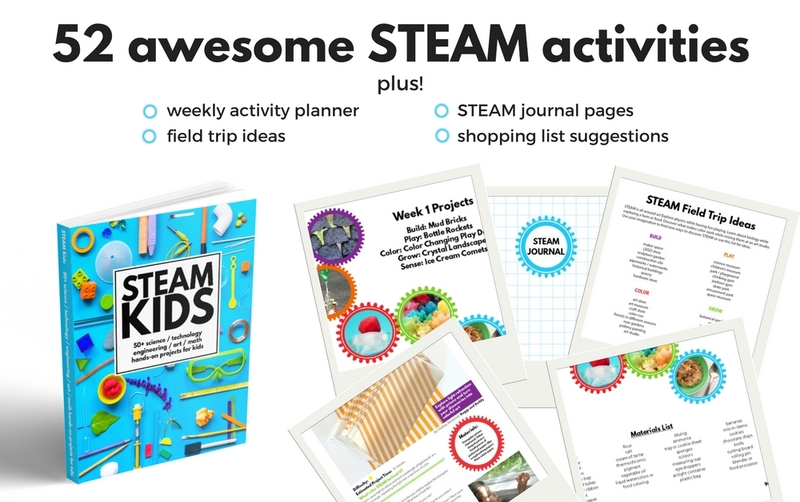 Click on over to 28 Days of STEM Activities and STEAM Activities for Kids for 60+ FREE science, tech, engineering, art, and math projects from 30+ education writers. All ready to get your kids excited to learn.